We’re expanding our series of lunchtime meet-ups! Join us for lunch at the Tavern in the Square, Porter Square, Cambridge, Friday, March 24, at 1 p.m. 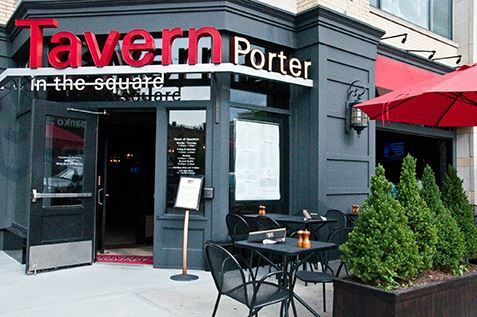 The Tavern in the Square is accessible by the Red Line (Porter Square), as well as MBTA Commuter Rail (the Fitchburg Line, also at the Porter Square station) and four bus lines. The restaurant also offers free parking in its own lot plus validated parking in the adjacent lot. The Tavern’s own spaces are accessible by a driveway on the north side of the building (the far side if you are coming from Harvard Square). If you are coming down Mass Ave from Arlington or points north (that is, if you are heading toward Harvard Square) your best option may be the pay lot. Turn left at the light just short of the Porter T station, onto Somerville Avenue, and then right onto Beacon and right again onto Roseland Street. Be not dismayed by construction. With restaurant validation, your parking should be free in that lot, too.